Established in 1768, Stephen Austin is one of the United Kingdom’s oldest printing companies. Based near London, we are a leading specialist in the secure printing and distribution of high-stakes examination and electoral materials for governments worldwide. We protect the security and integrity of our clients’ data and documents by delivering a service of the highest international standards in terms of quality, security, accuracy and reliability. Above all, we deliver peace of mind to all of our clients, who trust the team at Stephen Austin to fulfil every brief with precision and dedication. 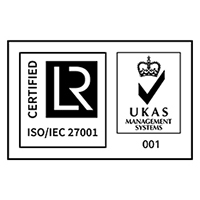 Stephen Austin is proud to have achieved certification to the internationally recognised best practice framework for Information Security Management; ISO 27001:2013. 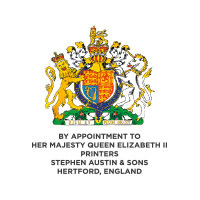 Stephen Austin is proud to have held a Royal Warrant for Print Services to Her Majesty the Queen since 1998. We hold a management system certification in anti-bribery ISO 37001. In recognition of our heritage of professional probity, the company’s Anti Bribery and Anti-Corruption policies and working methodologies were officially approved in 2016 to BS 10500:2011 and subsequently to the international standard ISO 37001:2016 in 2018. Quality and accuracy are fundamental to our business. 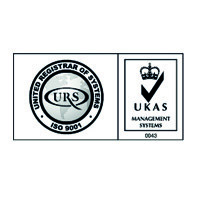 The company operates within the internationally recognised quality management framework, ISO 9001:2015 and has been approved to quality management standards since 1992. 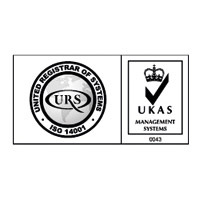 To help us manage our impact on the environment the company operates within the internationally recognised environmental management framework ISO 14001:2015 and has been approved since 2008. 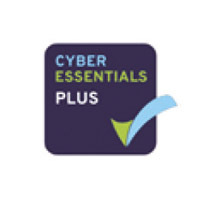 To protect data security, the company has achieved CYBER ESSENTIALS PLUS, a widely recognised, government-backed ICT security standard. 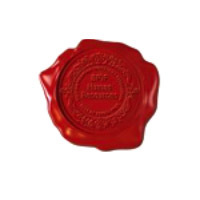 The company has been a member of the British Printing Industries Federation for over 50 years. 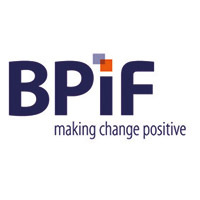 We are proud of the people who work for us, and in recognition of this the company has been awarded the BPIF Seal of Excellence in Human Resources. a good year for endeavour! Captain Cook set sail in HMS Endeavour for his first voyage to the South Seas – and Stephen Austin established his printing business in Hertford. Stephen Austin’s newspaper, the Hartford Mercury, was the first to be published in Hertfordshire. When their father could not make the business pay, Stephen Austin III and his brother John took it over – both sang in the Hertford Glee Society. Stephen Austin III’s first book was Lewis Turnor’s History of the Ancient Town and Borough of Hertford –accompanied by a set of prints. In 1834 Stephen Austin launched The Reformer, a paper supporting the Liberal Party, which was immediately lampooned by its Tory rival. In 1836, Stephen Austin moved to new premises next to their printing works in Fore Street, Hertford – as illustrated on their letter head. In 1842 Stephen Austin printed this Persian examination paper for the East India College. In 1855, Stephen Austin produced his most lavish volume of the Oriental classics – Sakoontala or The Lost Ring, translated from the Sanskrit by Professor Monier-Williams. In 1855 Stephen Austin received a silver medal at the Exposition Universelle in Paris and gold medals from the Empress Eugenie and Queen Victoria. Stephen Austin had been associated with the East India College since boyhood. When it closed he was a leading member of the group which set up the public school in William Wilkins’s classical buildings at Hertford Heath. Stephen Austin III – known as ‘The Patriarch’ died in 1892. Two sons, Stephen IV and Vernon Austin, tried to run the business but did not have the skill or commitment. In 1909, Victor Harrison of the well-known printing family became managing director. The chairman was Richard Austin, another of the sons of Stephen III. In 1938, the BBC Arabic Service was launched to counter Mussolini’s propaganda in the Middle East. Its magazine, the Arabic Listener, was printed by Stephen Austin and Sons. In 1942, Victor Harrison became chairman, relinquishing his executive role to give more attention to the family firm, Harrison and Co. His son, Stanley Harrison became managing director. In 1954, the printing works of Stephen Austin moved from Fore Street in the centre of Hertford to Caxton Hill, off the Ware Road. Later printing of the newspapers also moved to Caxton Hill, in a building opposite. In 1962 Stephen Austin printed a version of G.B. Shaw’s play Androcles and the Lion in the alphabet proposed in his will. In 1966, Stanley Harrison became chairman and his half-brother, John, took over as managing director. In 1972, Stanley Harrison sold the newspapers and printing business to Peter Fowler, who had a City background. In 1981, Ken Hartfield who had joined Stephen Austin as an apprentice, became a director and in 1987 managing director. He is seen here with fellow directors (left to right) Bill Jordan, Richard Russell and Peter Lake. In 1993 Stephen Austin celebrated its 225 years with a reception at the British Library, where the guest of honour was the Right Hon Peter Brooke, MP, Secretary of State for National Heritage (seen right). Stephen Austin had been printing for the Royal Family for some years, including the service sheet for the Garter Ceremony at St. George’s Chapel, Windsor. In 2004 Rory Fowler, son of the owner and still in his forties became managing director. He had been with the company since 1996 and worked in every department. In 2013, Stephen Austin acquired DTL – a firm specialising in electoral printing. It has since been incorporated into the Stephen Austin brand. Stephen Austin launches GradeMaker, a dedicated business designed to support examination boards’ digital workflow and transition to e-testing. For decades the image of Stephen Austin and Sons was a drawing of its eighteenth-century founder – the so-called ‘bronze man’. The new image is of a face looking forward to an exciting future.